Giant agro business chemical firms have taken the food system hostage with the industrial agricultural approach, Colin O’Neil, director of government affairs for Center for Food Safety told RT. He argues that nature is pushing back this approach that has an overall negative effect on the economy. The industrial agricultural approach, O’Neil argues would not solve food problems, but regionally adapted farming systems show promise. RT:You've been fighting against Monsanto for a long time – but they rebuff all accusations of GM food being in any way harmful, what's there to suggest otherwise? Colin O’Neil: There is a lot of evidence to suggest that there is a sincere harm and also inadequate studies been done. RT:GM foods are the key to solving the world's food problems as the population continues to grow...that's a fair argument? CO: There’re many reasons why generically insured foods are actually not the solution for increasing global food production and may actually be a deterrent. RT:Aren't you battling against economic sense here, where many people are struggling to pay bills and are looking for cheaper food? CO: What these genetically engineered foods and crops do is lock farmers into having to exist on this pesticide treadmill where they not only have to buy costly seeds that keep increasing over years but also have to buy the synthetic pesticide fertilizers which also keep escalating in value and that means farmers have to pay more and that in turn trickles down to consumers. RT:Why are governments appearing to be supportive of this GM food giant? CO: We see an overwhelming influence in governments and that has to do with money. These are major chemical companies. 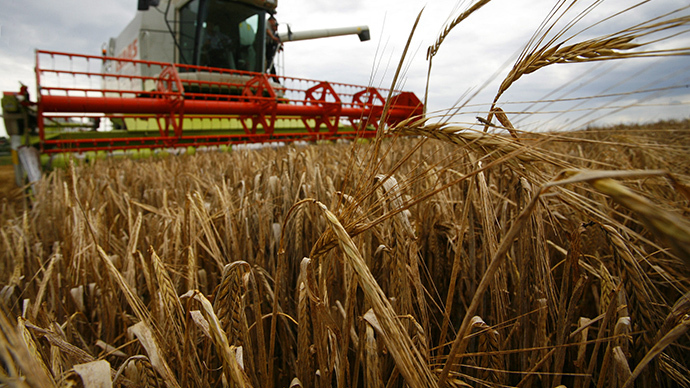 Over 53 percent of seeds are owned by just a handful of these major agro business chemical companies. So they exert tremendous influence in politics and have millions upon millions of dollars to spend to insure that their products get sped through reviews and also to insure that consumers are not informed about what the products they are eating, so for instance, not labeling genetically engineered foods. RT:Would traditional farming methods really work to meet the demands of today's economies? CO: Yes traditional farming methods and looking beyond to organic and even beyond organic methods of food production can and are feeding the world’s population. However when assaulted by increasing chemical warfare on fields and on agriculture, we actually see nature pushing back against the industrial model of agriculture. What we need to do is not resist nature but to embrace it, and embrace diversified and local regionally adapted farming systems that allow the hands and the power to be in the hands of these local communities and to be in the hands of consumers. RT:The march will be the second such mass event - are these protests achieving anything? 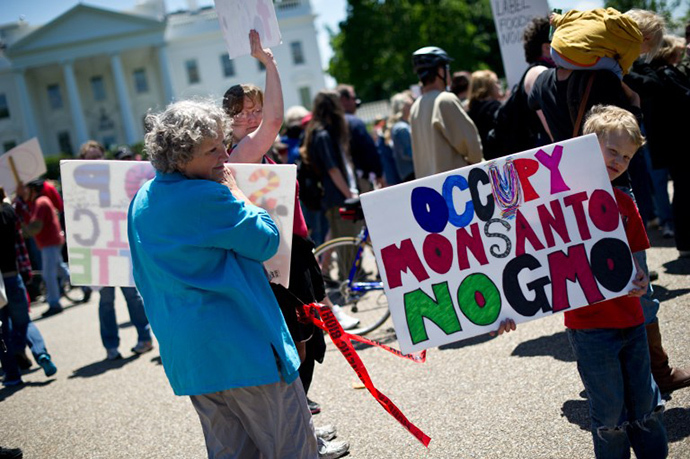 CO: Yes, I believe these marches are raising awareness on the issue and bring awareness not only about Monsanto in its influence in agriculture but also other chemical companies the that have become a major agro-business influences on Capitol Hill. We are really encouraged by these marches and protesters not only in the US but around the world. This year and especially this summer we saw a number of pivotal and momentous issues come to the forefront, namely the first defeat of Monsanto Protection Act, policy writer on Capitol Hill in Washington DC. Senator Barbara Boxer and others like Senator Mikulski, Senators Wyden and Merkley really led a charge to oppose this controversial and backdoor policy writer that would have allowed more sales of these toxic and harmful products. But we also saw issues like transgenic contamination of weeds and alfalfa in the Pacific Northwest and the resulting economic impacts that come when foreign markets reject contaminated shipments of US agricultural products. So we are really seeing a pushback and the consumer really standing up against corporate interest and standing up against what the food system really is now, which is an industrial model of agriculture that consumers, farmers and increasingly politicians are just not happy with. So we are going to be looking to members of Congress to lead the charge and we’re happy to take it to the streets tomorrow here in Washington DC and around the world too to raise awareness about this issue. Whether it is Monsanto or Dow Chemical company, these agro business firms really have a strangle hold on our agriculture and our food system and it is time that we get that food system back for us.